In one of our previous posts we offered you a roundup of the best and the most informative blogs that cover the user experience topics. It’s time to give you some hints about the top blogs that offer the coolest posts on web design, development and programming. 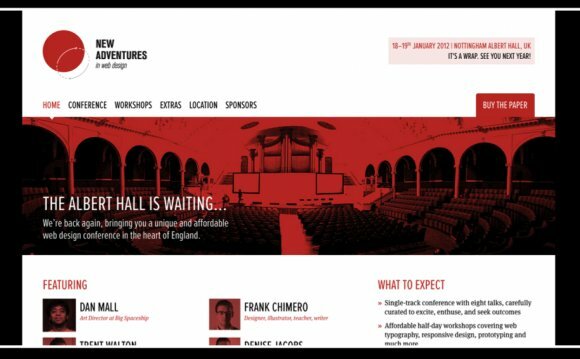 These blogs are must-read for anyone who works in the web design related field. 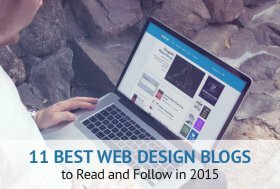 We included here only the best web design blogs that stay trendsetters in 2015. You can find there the latest info on any design-related topic, get the best tutorials that should help you improve your skills and learn some new tricks for your web design projects. The major factor we considered for including those blogs in our list was the high quality of stuff they offer to their readers be it articles, videos, tutorials or free design elements. As with UX blogs, we included in this post highly popular blogs that have high Alexa Ranks and thousands of followers in social media. We also considered how often they refresh their content. The value and diversity of the content was also the factor of choice. On those blogs you’ll find theoretical articles and posts about the basics of web design as well as step-by-step tutorials and detailed design guides to various elements of a website. The king of web design blogs, Smashing Magazine tops our list. This highly reputable resource offers the best articles and posts on web design, coding and programing, UX and graphics. It offers cool tutorials that help to create various website elements or graphic designs. Most of its tutorials are highly technical so design newbies should have a great knowledge base. Smashing Magazine also offers cool freebies for web design projects, its own printed (and electronic) books. The resource also runs conferences, sets various design contests. You can subscribe to its weekly newsletter. A Hongkiat Lim’s creation, this blog is a real gift for people who are interested in web design and development as well as in photography and graphics. It offers high-quality researches on web design topics, various tips and tutorials on HTML, CSS. Cool resources roundups as well as various collections of freebies will be handy for various design projects. Amazing resource that mostly offers detailed and very useful tutorials on versatile web design aspects. Tuts’ guides and how-to articles will be helpful for designers of any level of experience and allow improving their workflow. You can also check out a great Glossary category that explains various web design terms and gives better understanding of their basics. Creative Bloq is an cool resource that covers multiple design-related themes. You will find here inspirational roundups of Instagram accounts or Pinterest boards of the coolest illustrators or graphic designers of modern times. Free fonts or icons collections are also available here as well as detailed Photoshop tutorials or eBooks collections. Graphic designers will find here loads of 3-D animation, illustration posts while brands can get some useful info about social media or content management.